Height: 6' 3" Weight:245 lbs. Background: To be successful in the NFL, you need a good support system of coaches, talented teammates and the right system and conditions to perform in. The marriage of Pat Swilling to the New Orleans Saints was a match made in Heaven. Swilling arrived in New Orleans at the same time as Vaughan Johnson and Sam Mills and they joined Rickey Jackson to comprise the famed "Dome Patrol," voted the best linebacker corps in NFL history. Swilling had the talent, he had the teammates, he had a very good position coach in Vic Fangio, a very good defensive coordinator in Steve Sidwell and a very good head coach in Jim Mora. Playing on the lightning fast, hard artificial turf of the Louisiana Superdome, the lightning fast Swilling was an absolute terror off the edge in Sidwell's 3-4 defensive scheme. After playing in all 16 games as a rookie, Swilling became a full-time starter in 1987 and recorded 10.5 sacks as part of his 49 tackles. He forced three fumbles and recovered three fumbles and added an interception as the Saints posted their first-ever winning season. By 1989, Swilling was unstoppable, recording 16.5 sacks as part of 56 tackles. He forced five fumbles, recovered a fumble and had an interception. 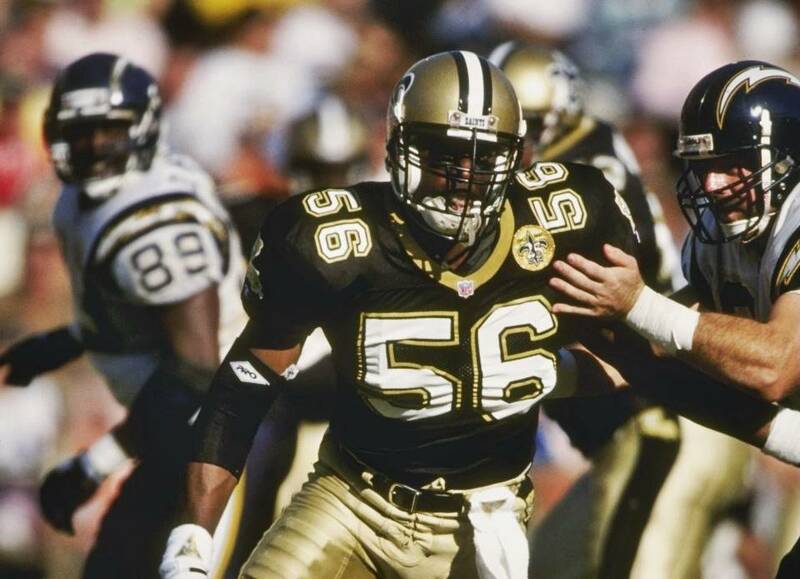 After an 11 sack season in 1990, Swilling had a monster season in 1991, leading the NFL with 17 sacks as part of his 60 tackles as Swilling was named Defensive Player of the Year in the NFL and the Saints won the NFC West. In his final season in New Orleans, Swilling had 10.5 sacks. Swilling finished with 76.5 sacks in seven seasons, third most in franchise history. He was in on 354 tackles, forced 24 fumbles, recovered seven fumbles and had three interceptions. Swilling was traded to Detroit for a first-round draft pick that brought William Roaf to New Orleans, along with fullback Lorenzo Neal. Greatest Moment: It was Nov. 11, 1990. Struggling at the quarterback position with Steve Walsh and John Fourcade in the absence of Bobby Hebert, the Saints defense had to step up and carry the load. Hosting Tampa Bay in the Louisiana Superdome, the defense dominated in a 35-7 victory to keep playoff hopes alive as the Saints improved to 4-5. The Saints pummeled Chris Chandler and Vinny Testaverde all afternoon, recording six sacks. Swilling had a career-best four of those as he ran wild. 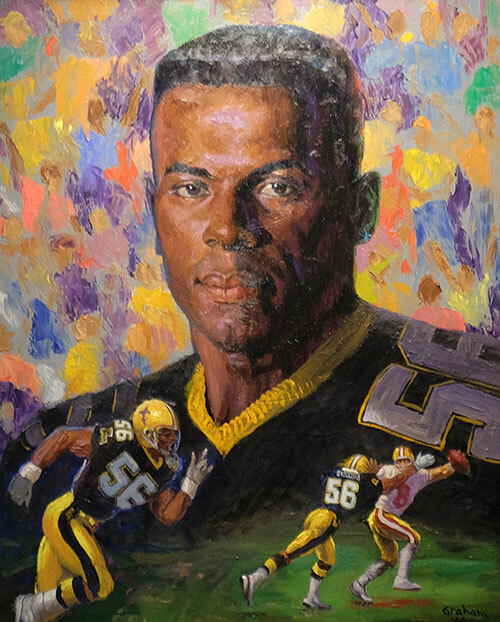 Honors: Swilling was inducted into the Saints Hall of Fame in 2000. He was named first-team All-Pro in 1991 and 1992. He made the Pro Bowl in four consecutive seasons from 1989-92. Swilling earned NFL Defensive Player of the Year honors in 1991. Swilling was named to the College Football Hall of Fame in 2009.